MAAC or AMA membership required to fly. Registration required. Directions: Turn West off Trafalgar Road onto Britannia Road. Turn right into Drumquin Park, just across the road from Terra Garden Center. Parking is located at our flying field. 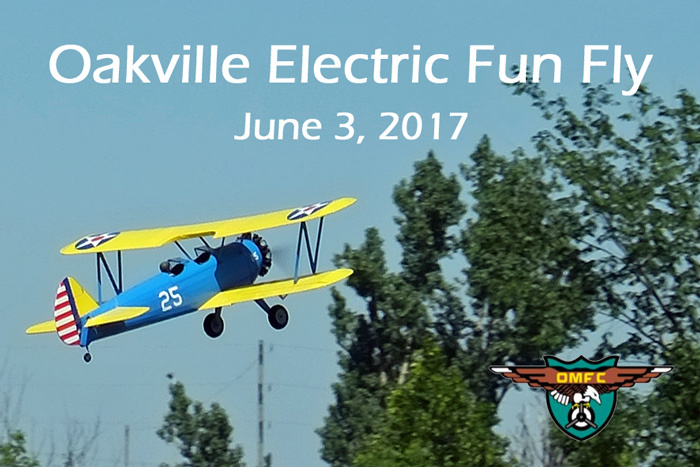 Event details: The Oakville Milton Flying Club is once again holding its annual Electric Fun Fly. Saturday June 3rd, 2017. No rain date is planned for this year's event. Dust off your favorite electric flying contraptions, charge up some batteries and come on out and join us. Pylon racing also planned if sufficient entries. Food and drink included for registrants. Prizes go to lucky pilots. All MAAC/AMA members in good standing are welcome to fly with us. Guests are welcome as spectators.